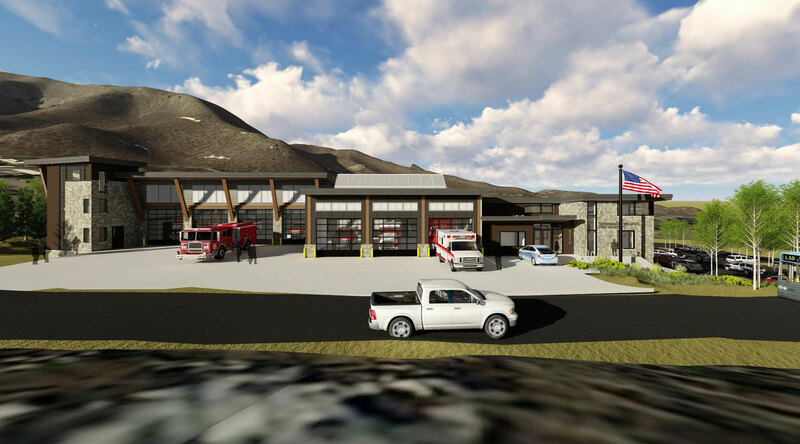 The Snowmass Wildcat Fire Protection District in Snowmass Village, Colorado, faced a challenging dilemma. Their aging fire station, originally built in the 1960’s, and added onto numerous times, had serious operational and safety issues with the facility’s outdated mechanical and structural systems. 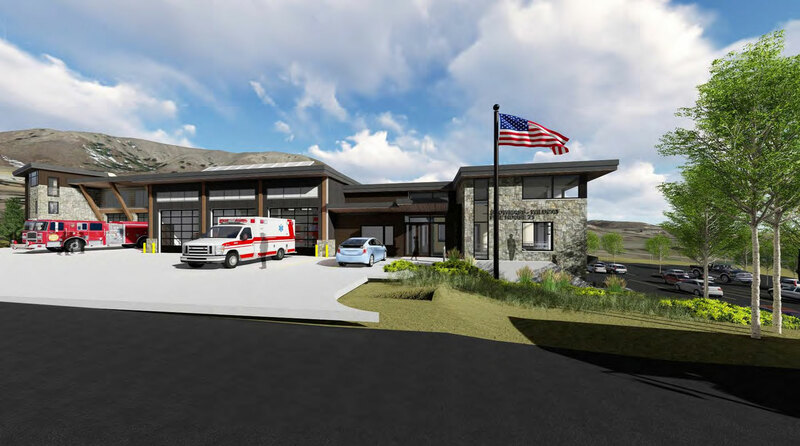 Additional space was also needed to house the current fleet of fire and emergency vehicles required to serve the thriving mountain resort community. 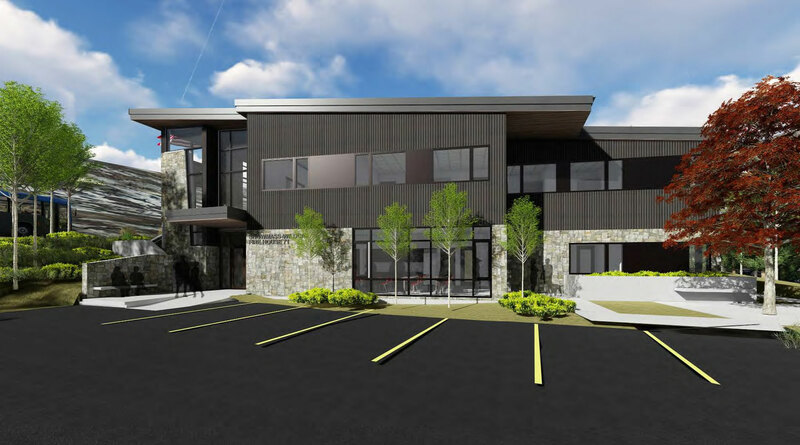 CCA was hired in 2014 to assess the situation with an existing facility analysis and masterplan process, and worked closely with the Fire Department Management and Town Officials to evaluate several sites with design studies. The existing site was chosen as the best option due to the excessive development costs and space limitations of other sites. 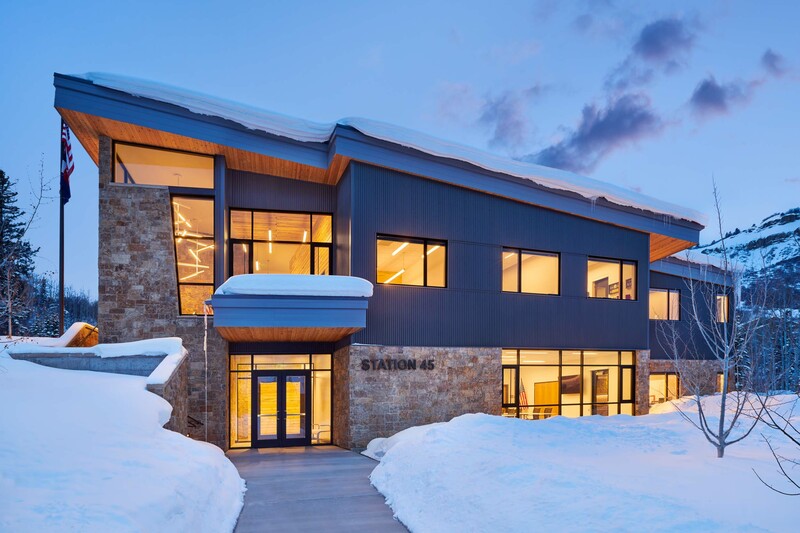 The new facility site design required careful attention, to respect the concerns of the neighboring Anderson Ranch Arts Center and the Snowmass Chapel. 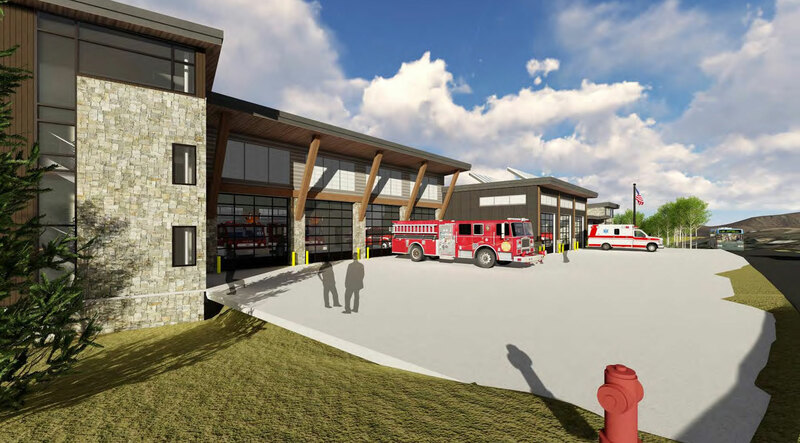 The new 30,000 sf two-story facility facility provides for the needs of the Fire Department, as well as providing for public interaction, with 7 new apparatus bays, 8 on-duty crew quarters, 6 resident firefighter apartments, administrative offices, a training/community room, numerous specialized support spaces, and a state of the art training tower. The building utilizes low sloping roofs, allowing a lower building height and horizontal visual appearance, that respects the neighborhood context. Large glazed openings further natural light and views, and have generous overhangs which provide weather and sun protection. The overall massing is articulated by building elements with varying heights and materials, which break down the scale of the large building visually and provides an attractive contemporary appearance. 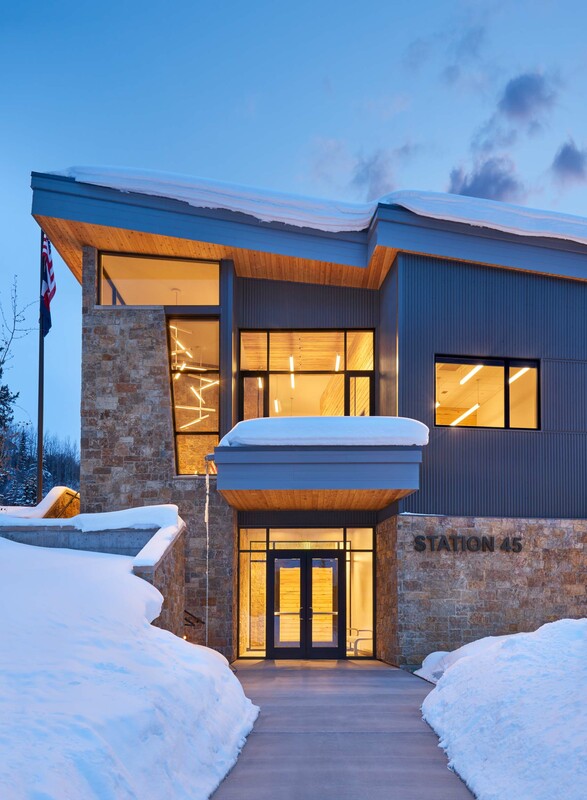 The material palette includes a complimentary combination of natural hues and low maintenance materials of stone, metal and composite panel siding, metal fascias and wood timber columns, which compliments the architectural context of Snowmass Village, and provides a fitting image for this important new public facility.